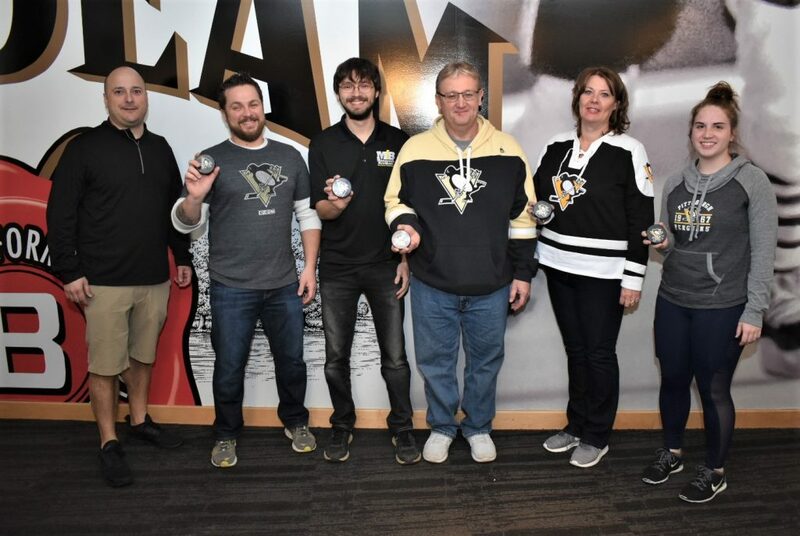 Dollar Energy Fund and the Pittsburgh Penguins are partnering once again to create the ultimate fan experience through our Fan Appreciation Night Raffle! We are giving away suite tickets to Fan Appreciation Night on April 6, 2019. Even better, one winner will be granted participation in the Shirts Off Our Backs selection process and guaranteed a trip down to the ice after the game to meet a player and receive an autographed, game-worn jersey. This is a one-of-a-kind opportunity for Penguins fans! 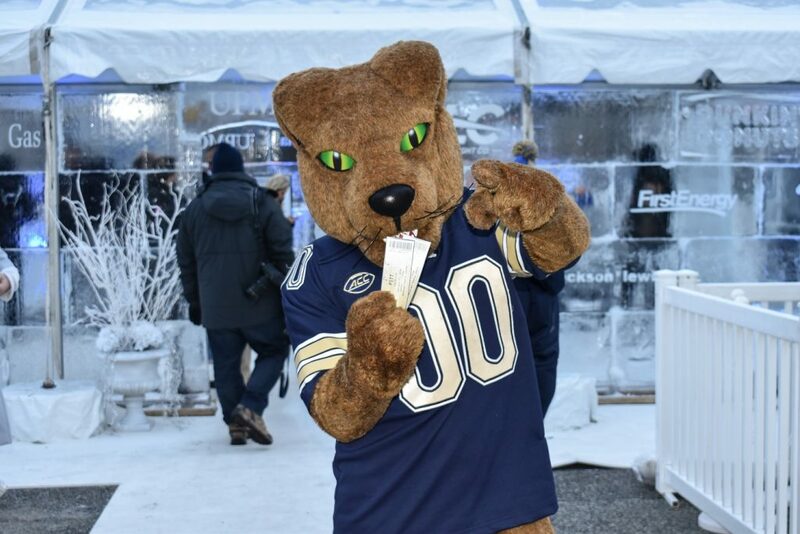 You can enter to win by purchasing a $5 raffle ticket from one of our kiosk locations inside PPG Paints Arena during select home games in March. 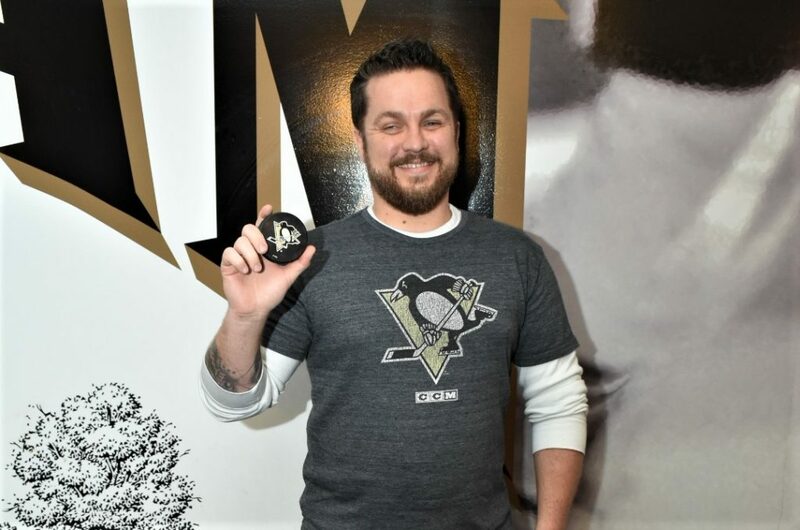 Five winners will each receive two tickets to a party suite for the Pittsburgh Penguins vs. New York Rangers game on Friday, April 6, 2019. 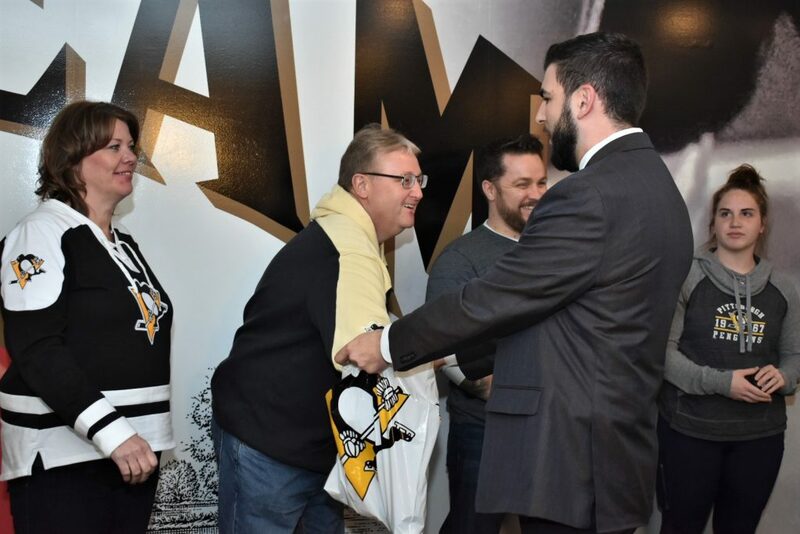 During the game, we will select a grand prize winner for the Shirts Off Our Backs experience and the remaining four winners will each receive a Pittsburgh Penguins Prize Pack. Participants must fill out the entry form and complete payment for their raffle ticket entry for a chance to win. There is no limit to the number of ticket entries an individual may purchase. Click here for official rules. All proceeds support Dollar Energy Fund and benefit families in need with utility assistance. The drawing will be held on Monday, April 1, 2019. 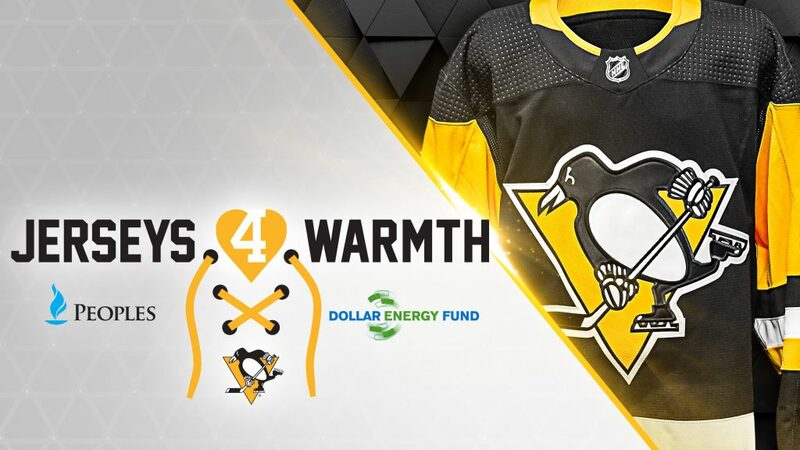 The Jerseys for Warmth Charitable Action raised more than $53,000 to support Dollar Energy Fund and benefit Peoples Natural Gas customers in need of utility assistance. Peoples provided a dollar-for-dollar match on all donations and all proceeds will be used to help an estimated 150 local families maintain or restore basic utility service. 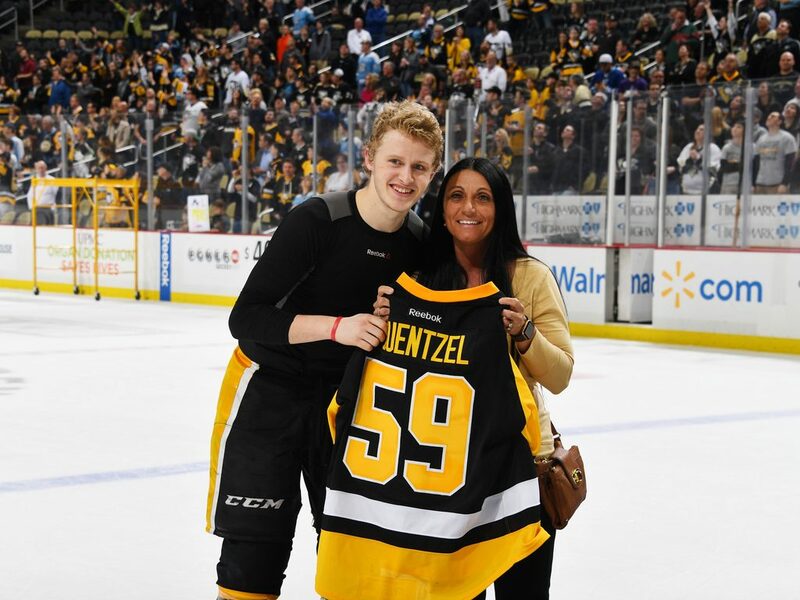 Over two dozen Pittsburgh Penguins game-worn jerseys from the team’s 4-0 victory on January 4, 2019, versus the Winnipeg Jets, were auctioned off online. Each jersey featured a commemorative patch authentication with the option to have the jersey autographed. Three lucky fans bid on autographed mini-helmets and are invited to attend a team practice and a meet and greet on Wednesday, March 6th, where they will receive autographed merchandise and take photos with players. Thanks to everyone who supported Jerseys for Warmth! 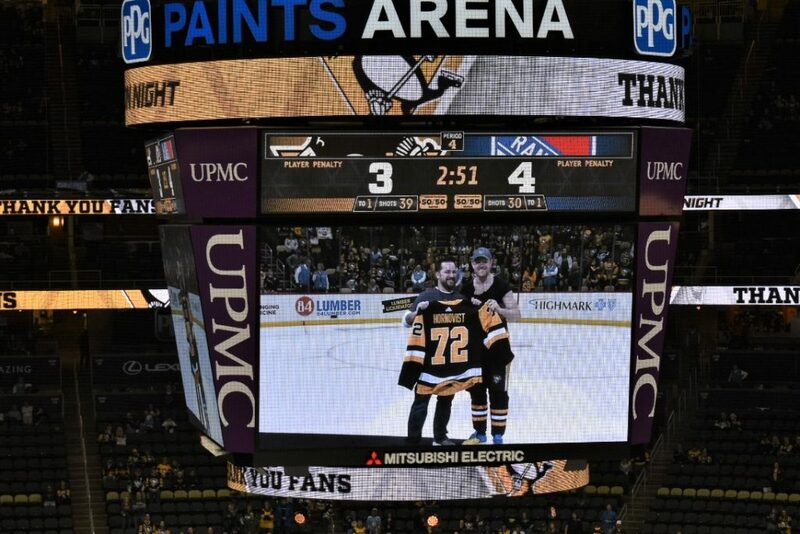 Check back for more exciting fundraising efforts through our partnership with the Pittsburgh Penguins. 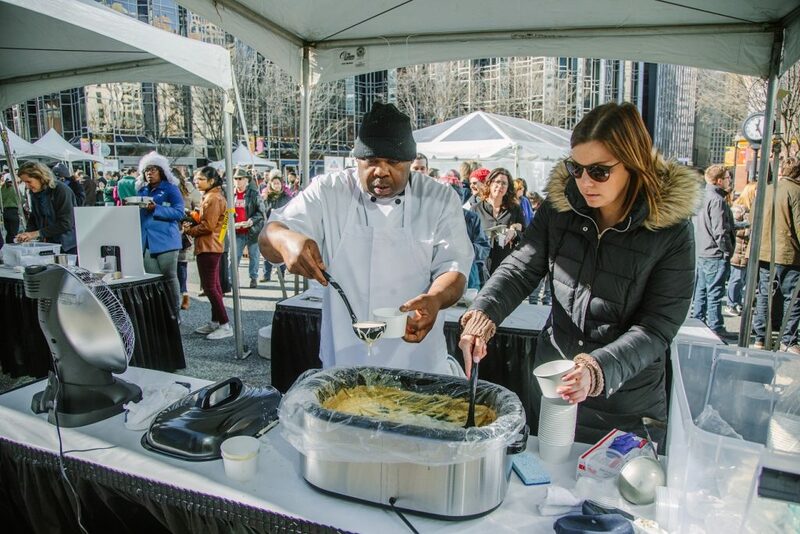 The 2019 NewsRadio 1020 KDKA Warmathon to benefit Dollar Energy Fund raised more than $155,000 during the two-day event, which will help 430 limited-income households in the Pittsburgh area afford basic utility service. 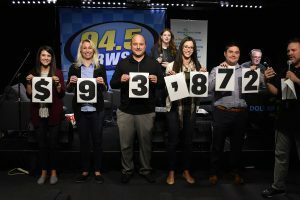 The Warmathon, a live, radio-based fundraising effort broadcasted from Entercom’s studios in Greentree, took place on February 14 & 15, 2019. 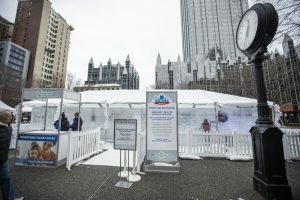 Dollar Energy Fund’s partnering utilities, which includes Columbia Gas, Peoples Natural Gas, Duquesne Light Company and West Penn Power, a FirstEnergy Company, provided a dollar-for-dollar match for all individual and corporate donations received through the Warmathon. 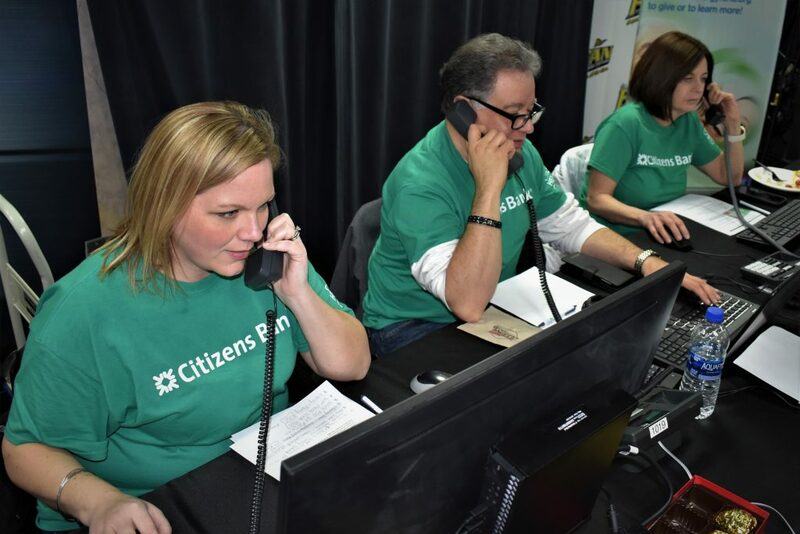 More than 40 volunteers were on hand to answer phones and accept donation pledges. In addition, several corporate sponsors contributed to the event’s success. 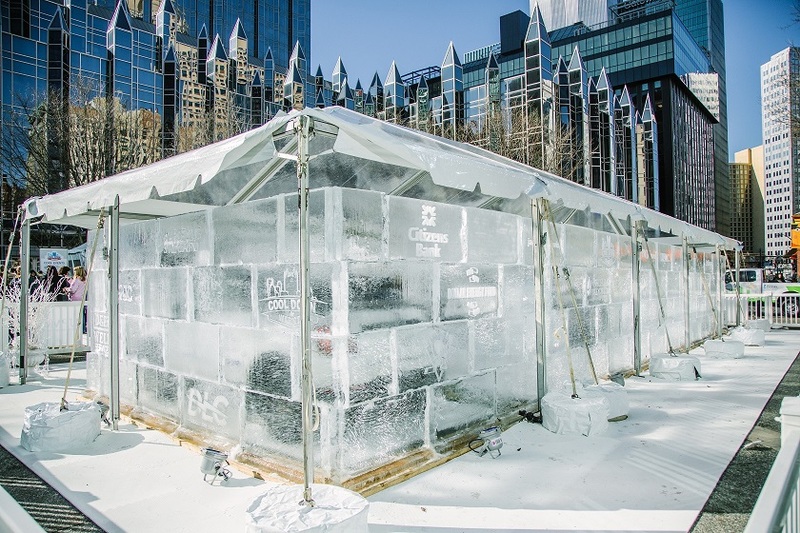 The Citizens Bank Foundation, a longtime supporter of the Warmathon, donated $25,000 in funding to match individual donations received during the two-day event. Additional corporate support was received from Wahl Family Heating, Cooling & Plumbing, MediConnect, Life Pittsburgh, Allegent Community Federal Credit Union, Jackson Lewis, Carl W. Herrmann Furs, Tevis Auto Service, Berger & Green Attorneys at Law, and Mike Camlin Hyundai of Greensburg. 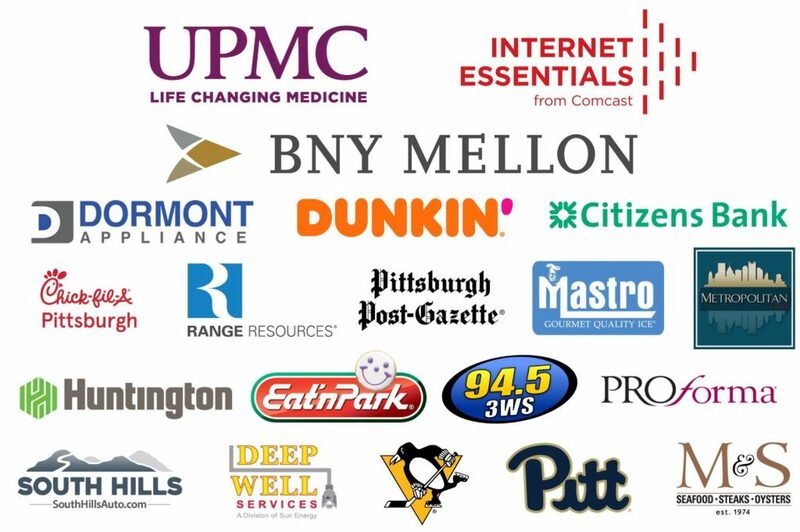 Several local businesses provided items that were used to incentivize donors, including Air Pro Heating & Cooling, Totin’s Diner, The Carlton Restaurant, Sarris Candies, The Smallman Street Deli, Oakmont Bakery, Tambellini’s Restaurant and Betsy Ann Chocolates. In addition, Brueggers Bagels, Chick-fil-A, Azorean Cafe and Core Life Eatery provided food for our Warmathon call center volunteers and staff members. 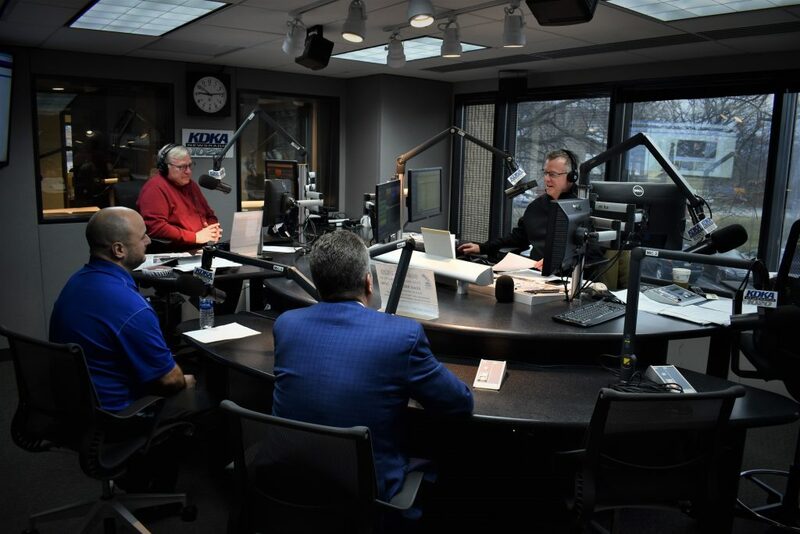 We would also like to extend a special thank you to NewsRadio 1020 KDKA, 100.7 STAR, KDKA-TV, hosts Larry Richert and John Shumway, and Marty Griffin for their continued support and promotion of the Warmathon. More than 130 individuals became “Neighborhood Heroes” by making a donation of $180 during the event. A contribution at this level, once matched by the organization’s utility partners, is equal to the average grant amount provided by Dollar Energy Fund. These donors will be entered to win a credit on their utility accounts that will give them free service for a year. 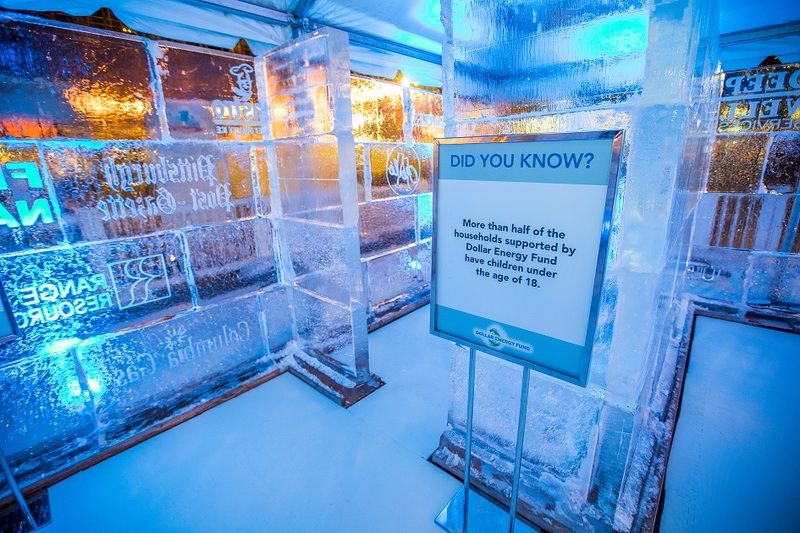 With this year’s contributions, 9,500 local, limited-income families have benefited from the total of $3.12 million that has been raised since the first Warmathon in 2009. Our less fortunate neighbors still need help. Please continue to support Dollar Energy Fund. 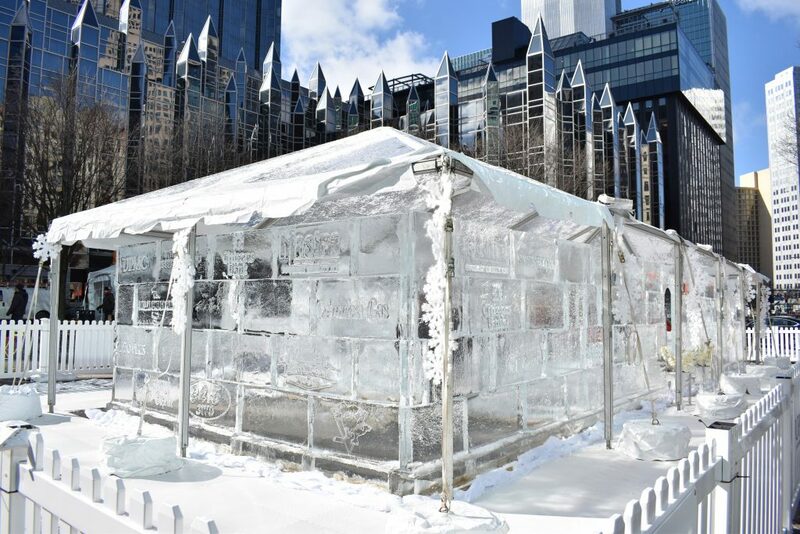 To donate, mail a check to Box 42329, Pittsburgh, PA 15203, visit www.warmathon.com to make an online contribution, or text WARM to 50555 to have a $10 donation added to your wireless bill. Message & data rates may apply. Customers of participating utility companies may also make a monthly donation to the organization through their utility bill. Follow us on social media for more updates on upcoming events! 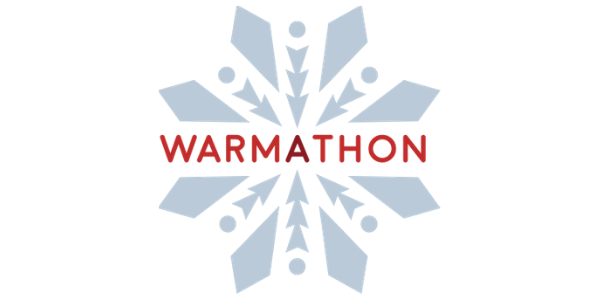 As we get closer to the 11th annual Warmathon, we’re gathering more incentives to encourage people to call in and donate to local, limited-income families who need help restoring or maintaining safe utility service. Free Utility Service for a Year! We’ll have many more surprise incentives during the event. Be sure to follow Dollar Energy Fund on Twitter and Facebook before the Warmathon begins so you can stay up to date on rapid-fire incentives, guests and promotions!